I have slowly been entering into the world of essential oils, and so far I love it! I started out with the doTERRA intro kit (a gift from Conor at Christmas) and have been trying to learn as much as I can since then. Quite a few of my friends use essential oils, so I've been able to sample (or at least smell) quite a few different oils as well as pick their brains on how to use them. That probably been the most difficult & intimidating part... figuring out how to use them & gain their full benefits! 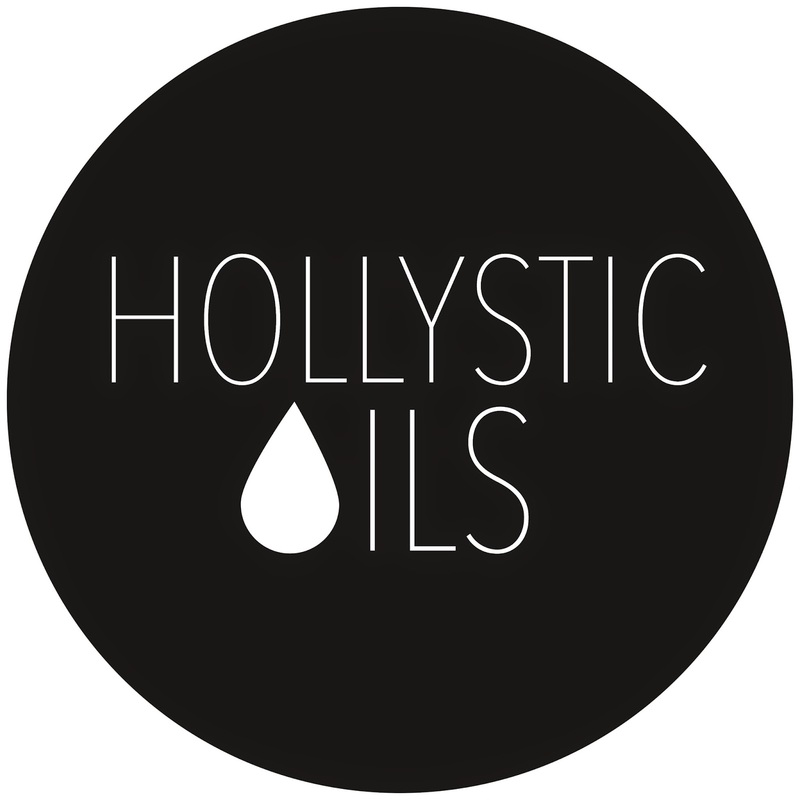 Thanks to Elise, I started following Hollystic Oils on Instagram! She is amazing!!! She frequently posts about different ways to use oils; plus she's always offering awesome deals. Each one of her posts seriously makes me want ALL THE OILS!!! Holly was sweet enough to send me quite a few samples to try out in my diffuser as well as a rollerball to help Liam (and me) sleep! I have been in essential oil bliss since my box of goodies arrived! I haven't tried all these combos yet, but I will say I am particular into Sleepy Time! I love using my diffuser at night. I put it on my nightstand, and the nice hum of the diffuser plus the (now) familiar smells help me relax before bed. I also like using our diffuser when I want to freshen the air (especially in the kitchen) or add some mood lifters (when I have a bunch of crazy toddlers running around). Now having just shared all that fun stuff about diffusing, I will say that using essential oils topically seems to have a far greater impact. I am obsessed with rollerballs! Liam uses one every nap time & nighttime before bed; it has simply become part of our routine. Again I think the familiar scents help calm him and let him know it's time to wind down and sleep. I also have a rollerball of just peppermint that I use when I feel a headache coming on; this has been a game changer. I put a little on my temples and the back of my neck. Typically I feel relief rather quickly unless it's a nasty headache! I can't wait to start putting some other blends together for everyday use. This is only a brief glimpse into the the wonderful world of oils! Hopefully as I learn & use more, I will share more. Here are a few of my favorites: Balance, Citrus Bliss, Elevation, & Serenity. 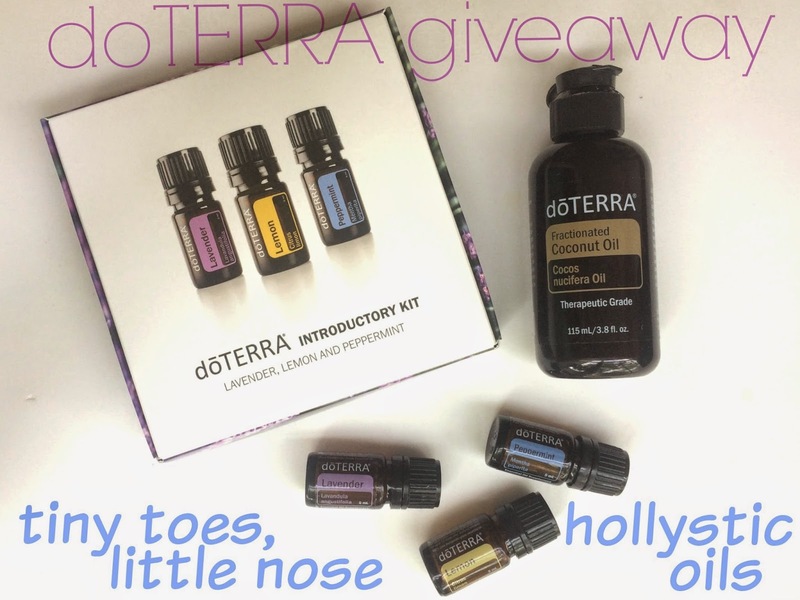 And now luckily for all of you, Holly is giving away the doTERRA intro kit as well as a bottle of fractionated coconut oil (for topical use as well as rollerballs, yay)! Enter through the rafflecopter below. A winner will be chosen on Saturday! Good luck friends! And now that I'm diving more into essential oils, please share you favorite ways to use them! And don't forget to follow hollystic oils on Instagram!!! What a great giveaway! I have read so much (and researched a little) about oils...I would love to try some! This is an amazing giveaweay. I've been intrigued by oils for awhile now, but haven't quite dipped my toe in the waters yet. My yoga instructor gave us a sample of the Breathe oil in class and it was amazing. Such a fabulous giveaway! I love essential oils...I've only barely gotten my feet wet because I know once I'm in, I'll be so far in it'll be ridiculous. ha! Ive always wanted to try oils but found it intimadating so if i win itll give me a boost ! I'd love to try some! All your combos sound amazing! I've really been debating getting into essential oils. I want to but, like you, I feel a little intimidated by them. 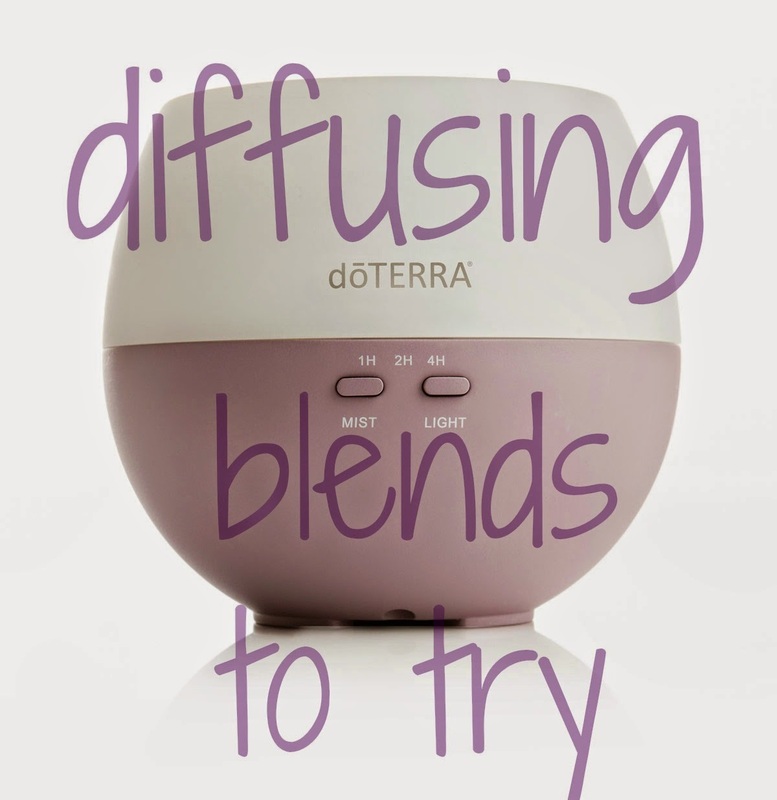 Once you get them in the diffuser how do you change to something new? Do you have to wait until it's all gone? Take it out? I know nothing. ha. I've heard so many great things about EO, I love the idea of a natural alternative (especially for little ones) and a diffuser. Definitely share the more you learn/try..!! I've been wanting to try a diffuser so badly! Right now, my favorite ways to use essential oils is to rub them behind my neck for stress relief and dropping a few drops of Eucalyptus oil into the shower while the steam rises because it makes the whole bathroom smell amazing and it clears my sinuses right up! I find them all super relaxing. i need to do some research on essential oils, i've heard so many good things! Thanks for doing this giveaway! These oils sound so awesome!!!! I would love to learn more about essential oils and would love the intro set!!! I love the few essential oils I have! I should definitely try a rollerball! What a great review! I recently started following Holly and she is great! She sent me a couple samples to help with my seasonal allergies and sleepytime for my son, to name a few. I would LOVE to win this as I am just starting to use EO's. I just started getting into oils as I have made a new healthy lifestyle change after having a baby. I started a more natural approach before medicine. Loving oils so far! This is an AMAZING giveaway! I recently ordered oils of my own and went to a blend making party! My allergies disappear as soon as I rub the allergy bomb on my spine! They are incredible! P.S. I love the name of your blog! I have been pondering the idea of starting a blog of my own, but choosing a name has put a stop to that idea. Yours is simple, cute and catchy! Definitely one I will not forget! A blend making party?! That sounds amazing! And I'm glad to hear you like the name. I'm actually considering rebranding my blog (since it's not just pregnancy related anymore) because I wasn't really liking the name anymore, ha! Such a great giveaway! I have the intro kit as well and love it! I'd love to get more and some coconut oil since we are almost out! Love to replace a few I've already ran out of! This is a great giveaway. I would love to try these. Love this and great giveaway! I really want to get a diffuser for our bedroom. I'm starting to experiment with making some DIY creams - having an essential oil would make it so nice! I know very little about essential oils. I'm so curious though and would love to try them! I recently bought the family physicians kit and a diffuser. I haven't gotten a chance to break out the diffuser yet, but I can't wait to! Thanks for sharing some ideas! I love EOs, this is such a fun giveaway! Love everything that I am learning about the wonderful oil!! I'm just getting my feet wet also but have already learned some great things. This is an awesome give away!